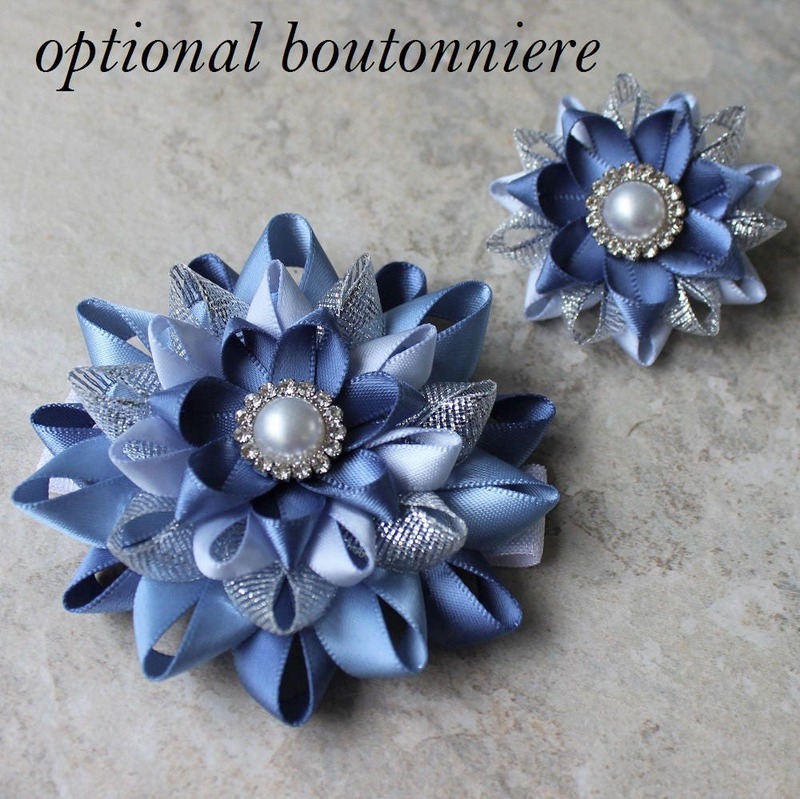 Need a corsage and boutonniere to match? 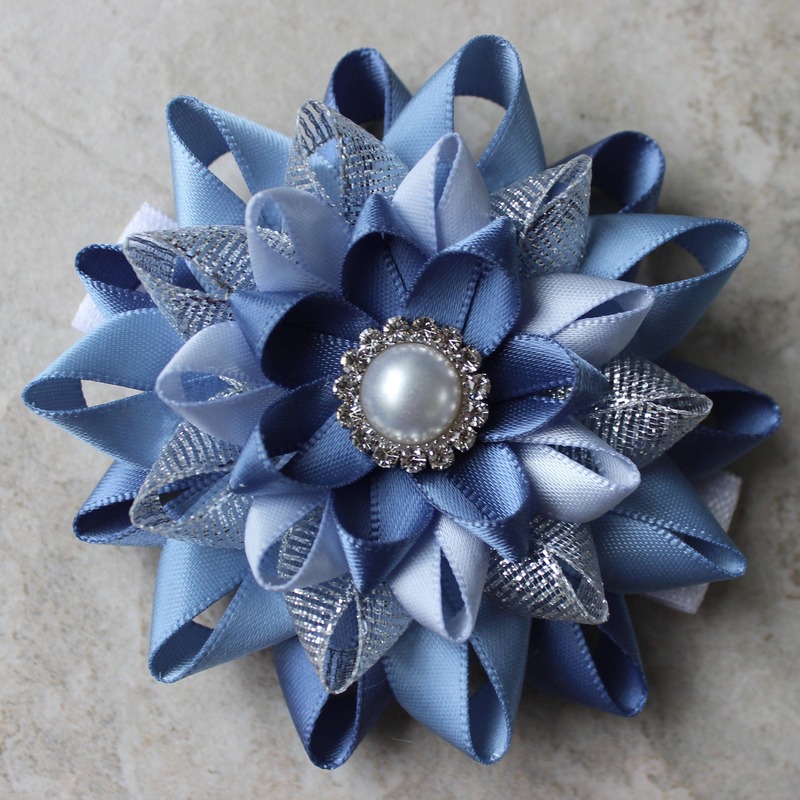 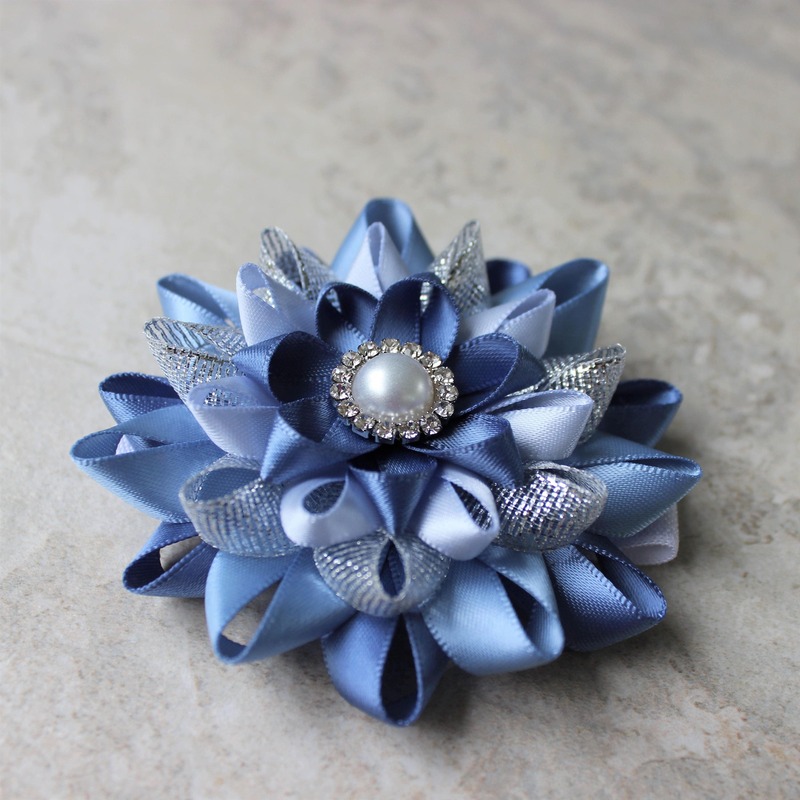 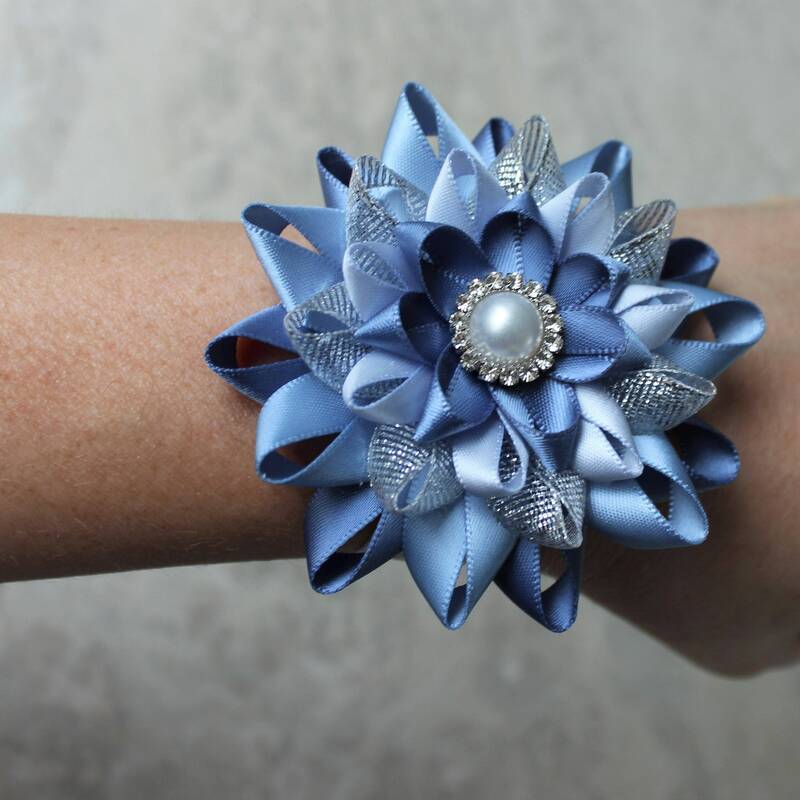 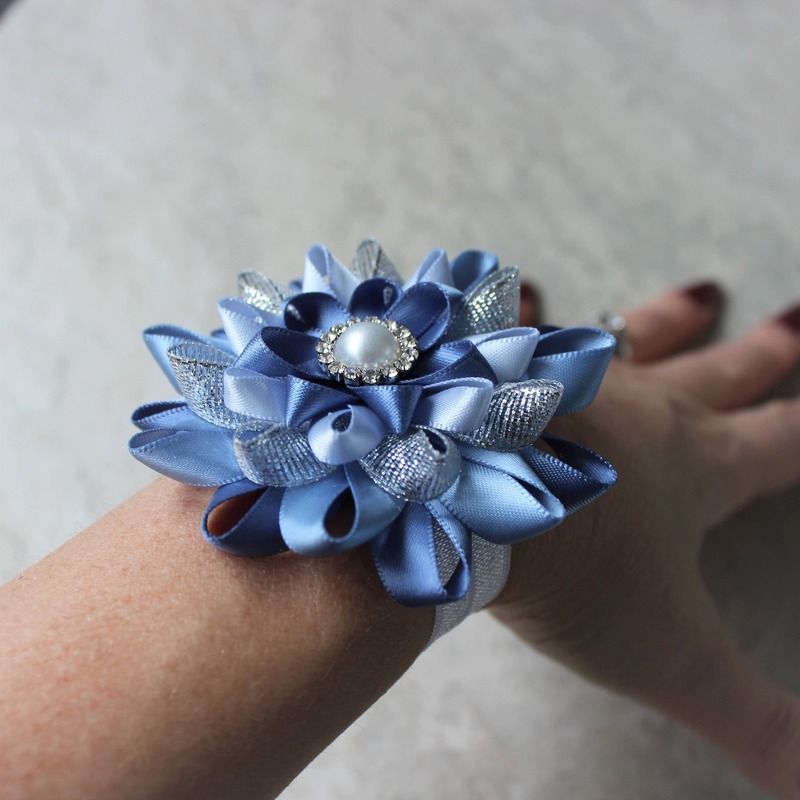 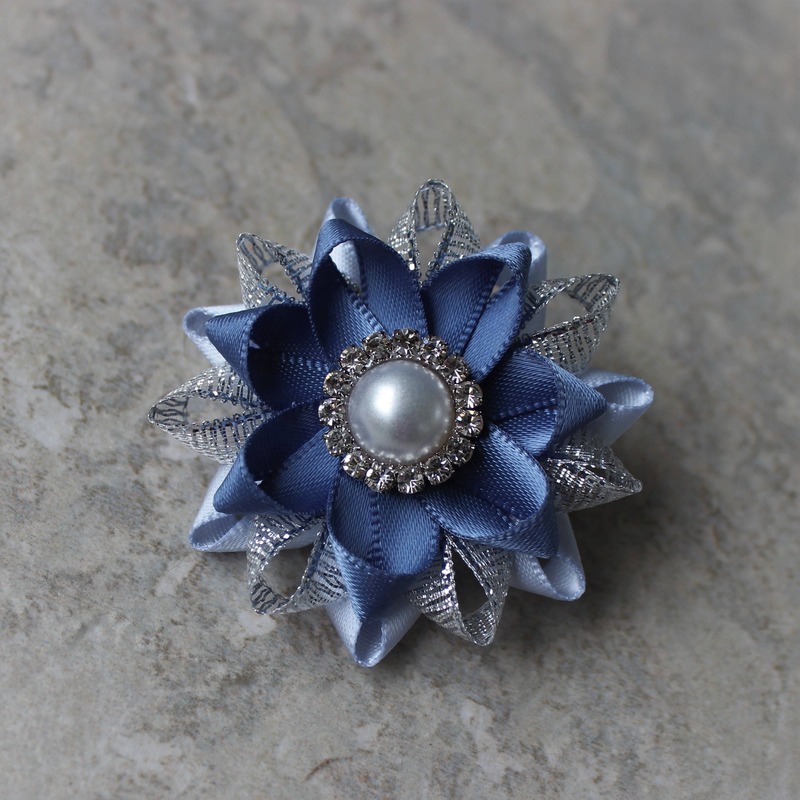 This very comfortable wrist corsage is handmade from satin and organza ribbons in denim blue, french blue, silver, and ice blue, with a crystal and white pearl center. 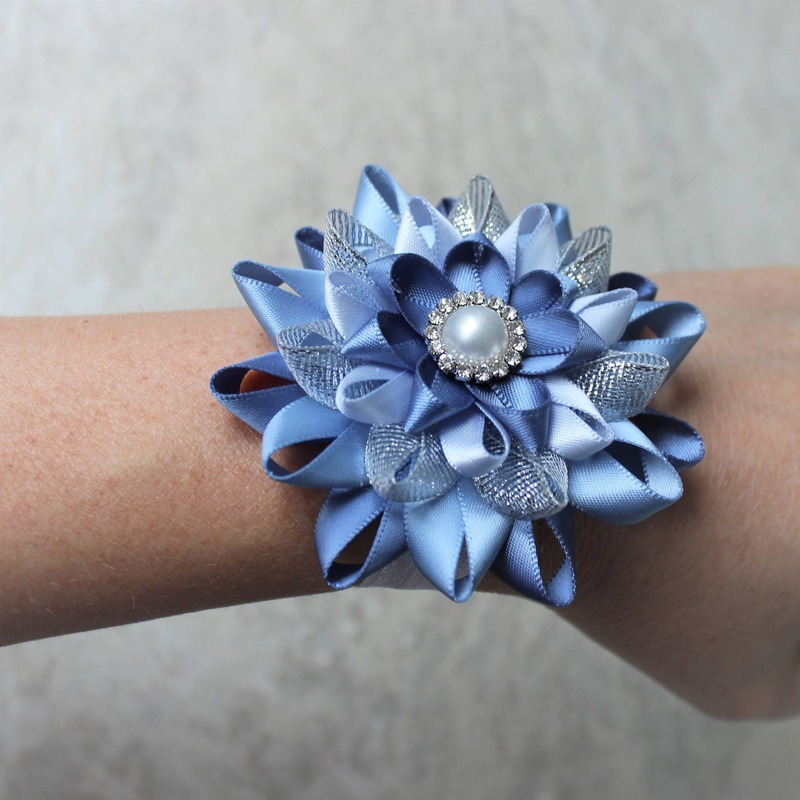 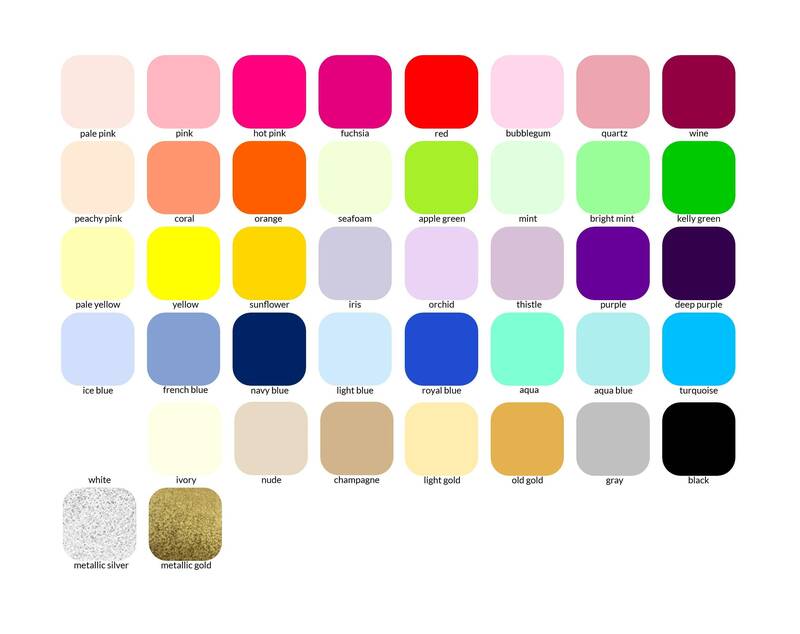 The flower is 3 inches wide and is attached to a soft, white wristband. 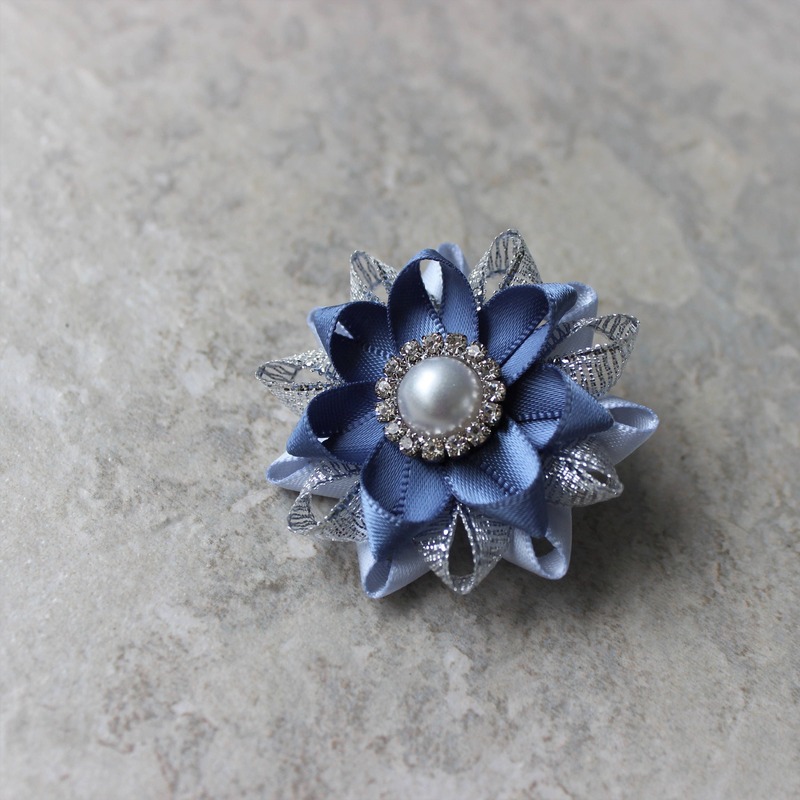 The matching boutonniere is 1 5/8" wide with a clutch pin backing. 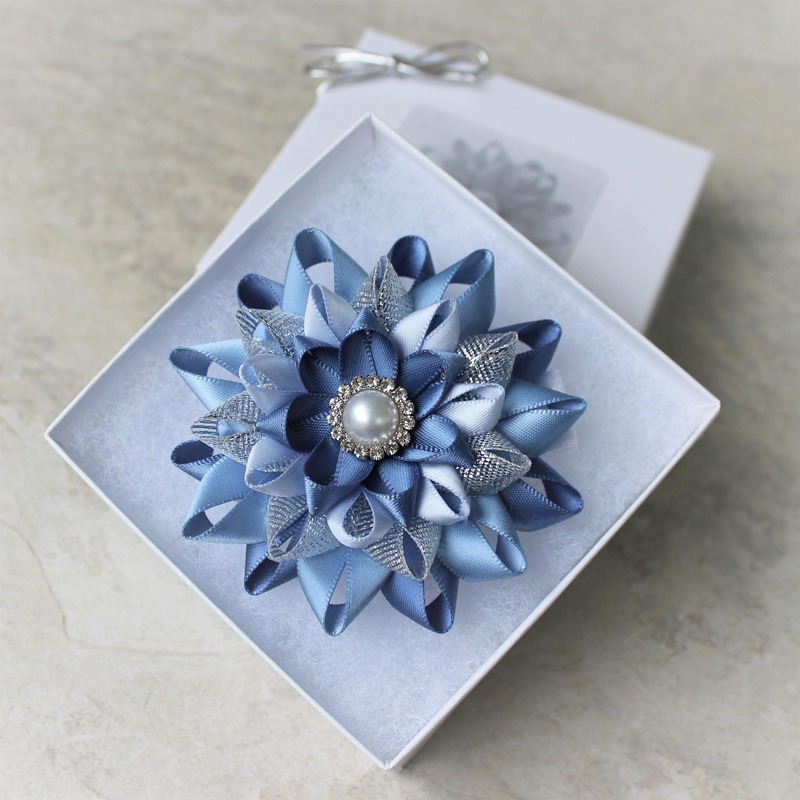 Each piece is packaged separately in a cotton lined gift box with bow.